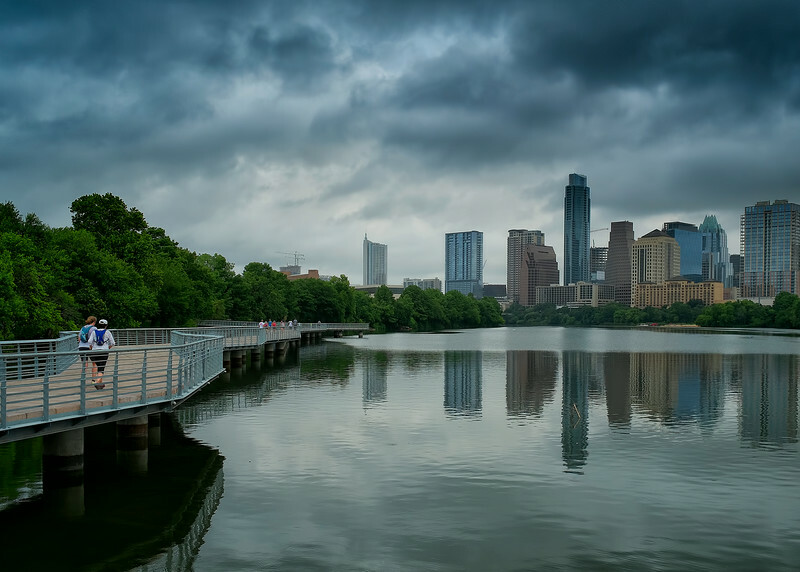 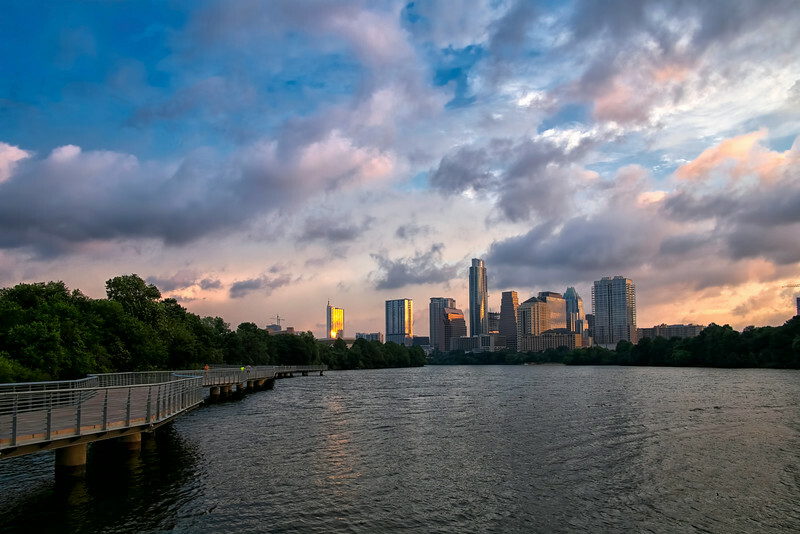 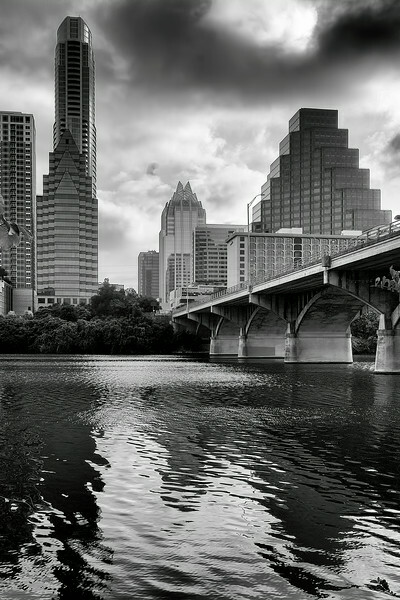 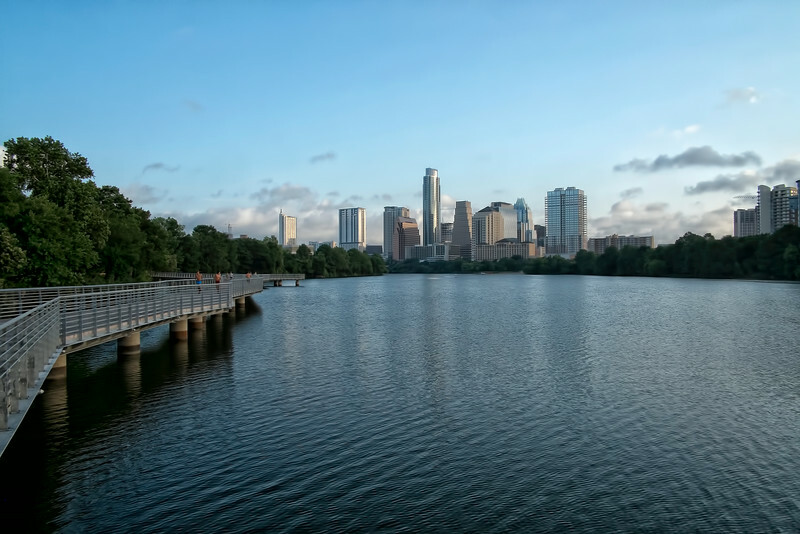 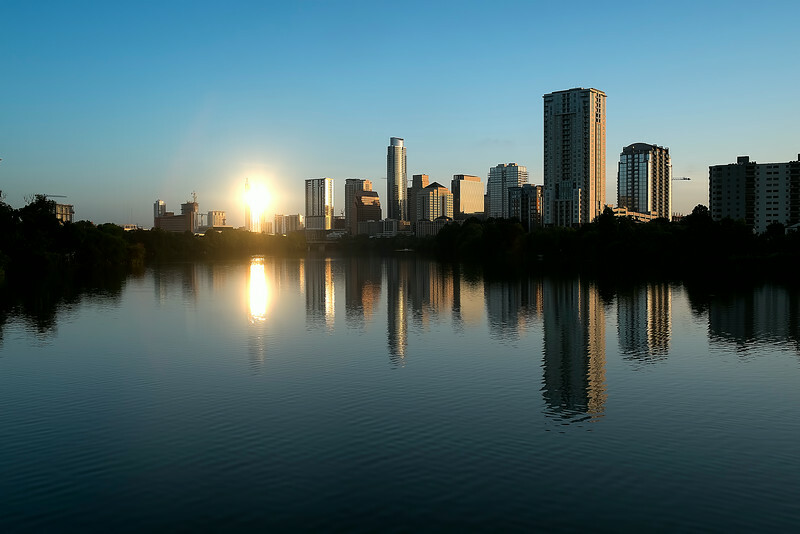 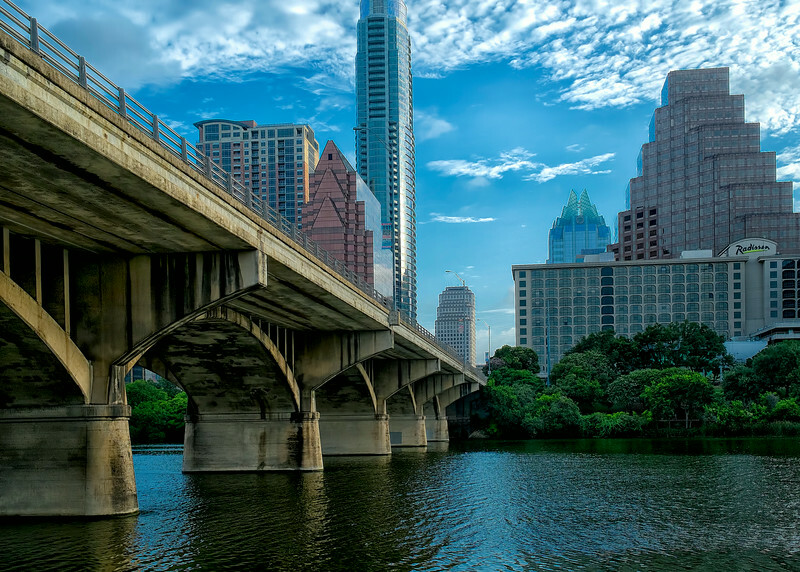 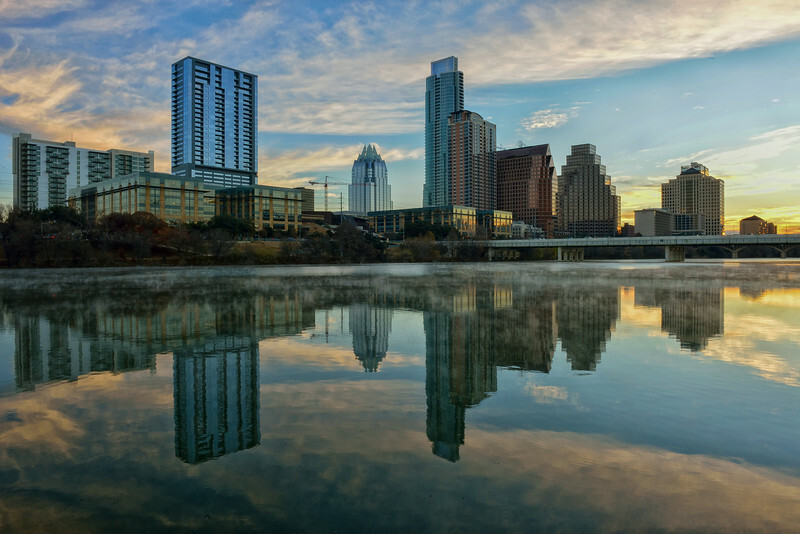 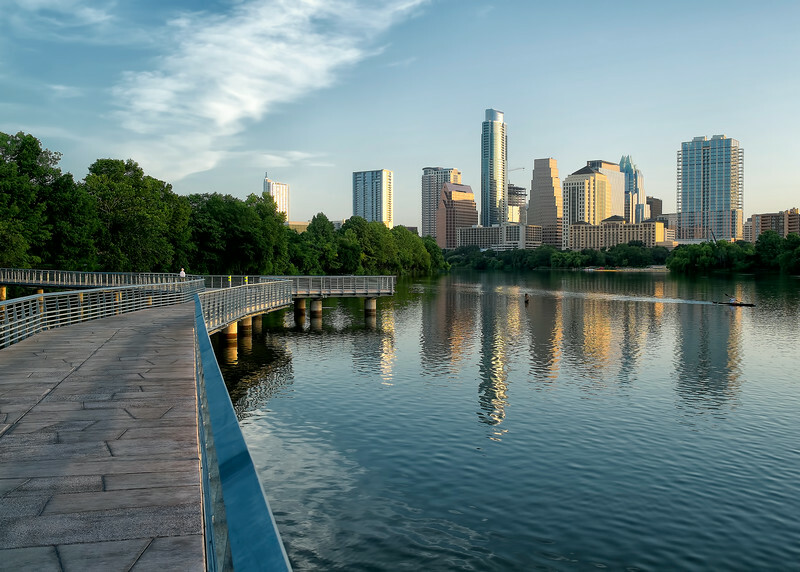 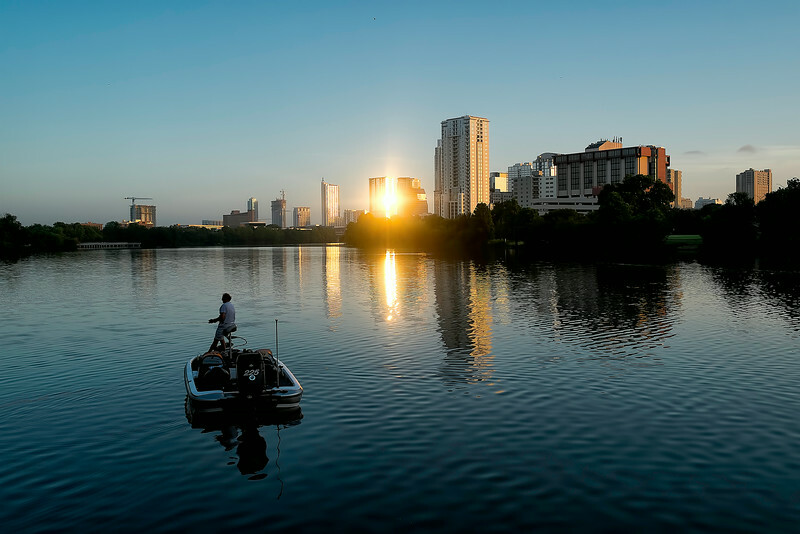 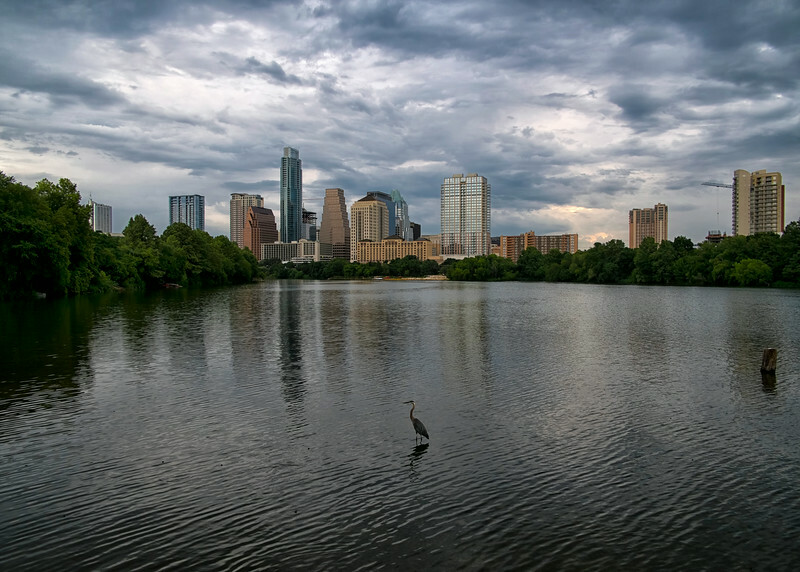 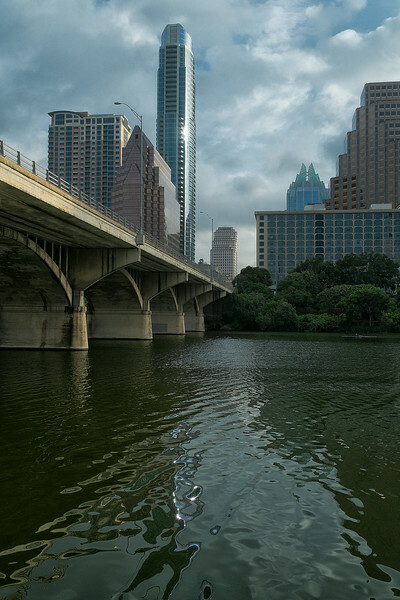 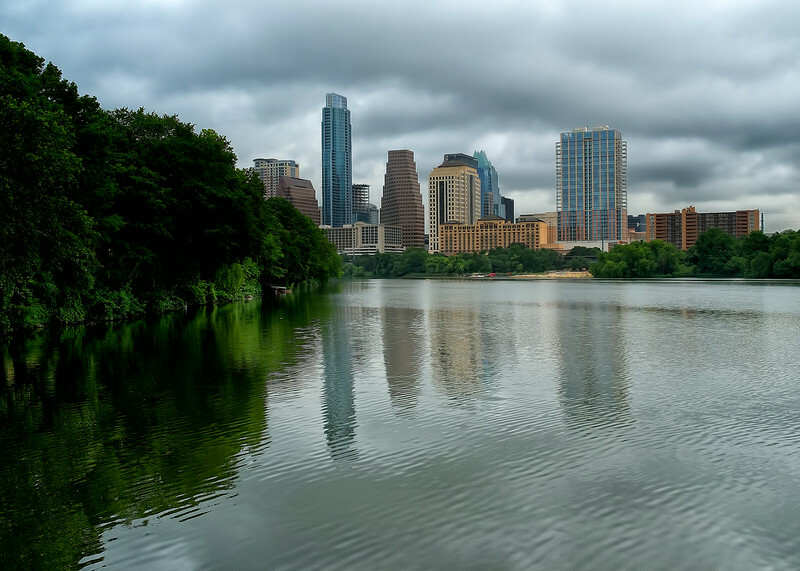 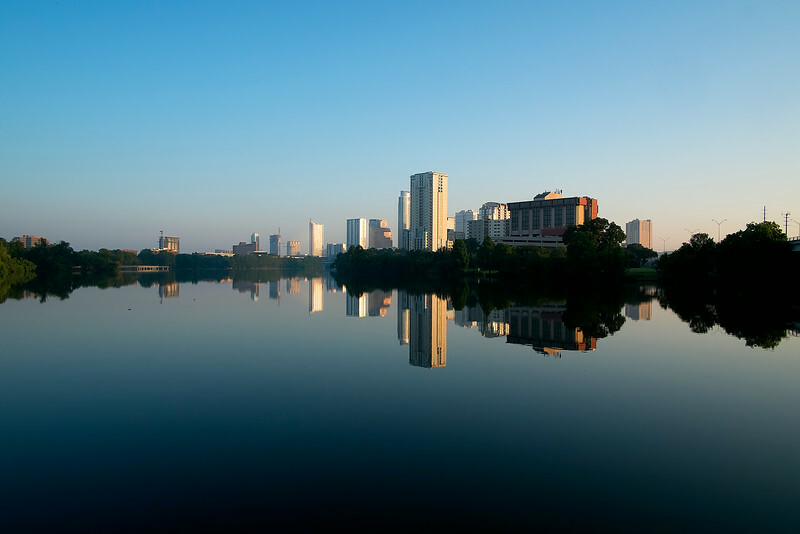 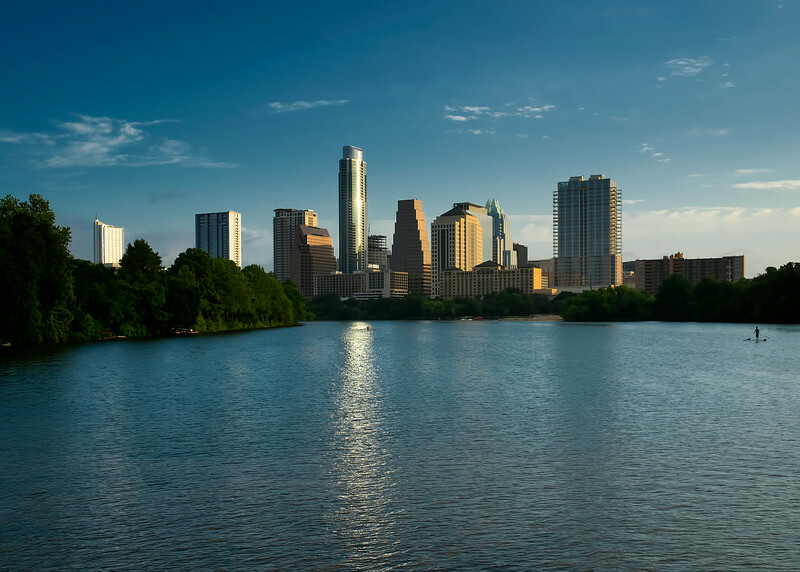 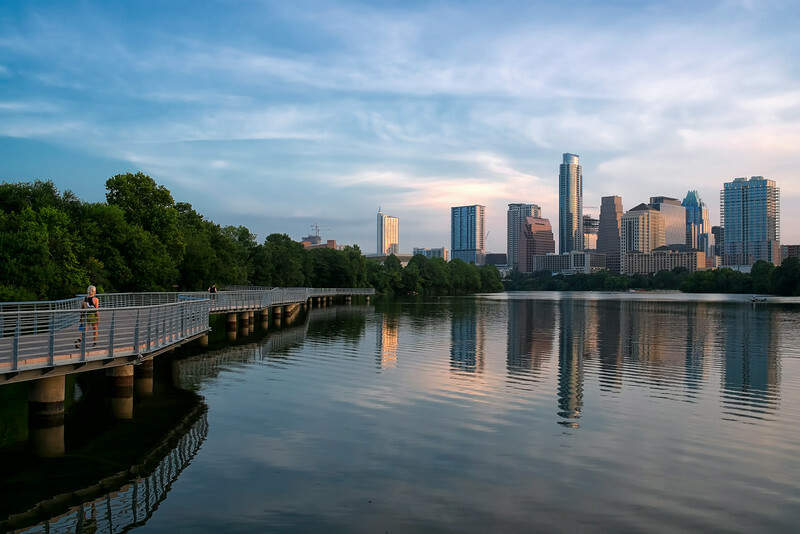 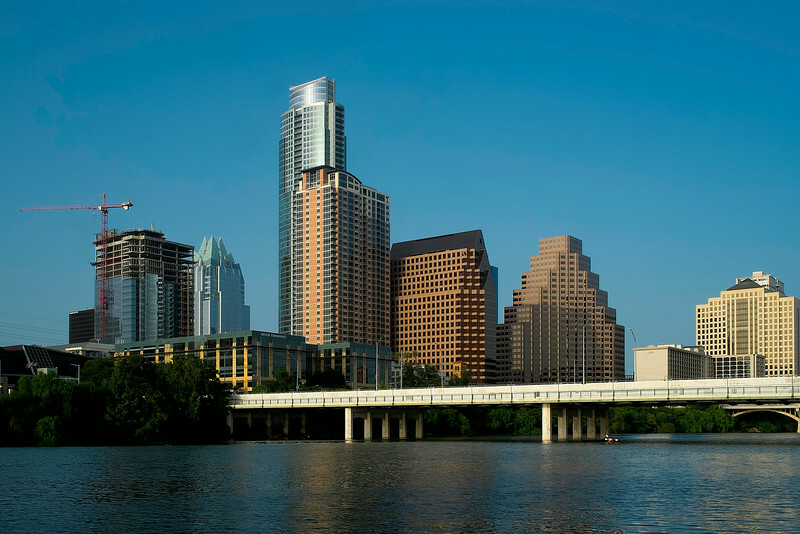 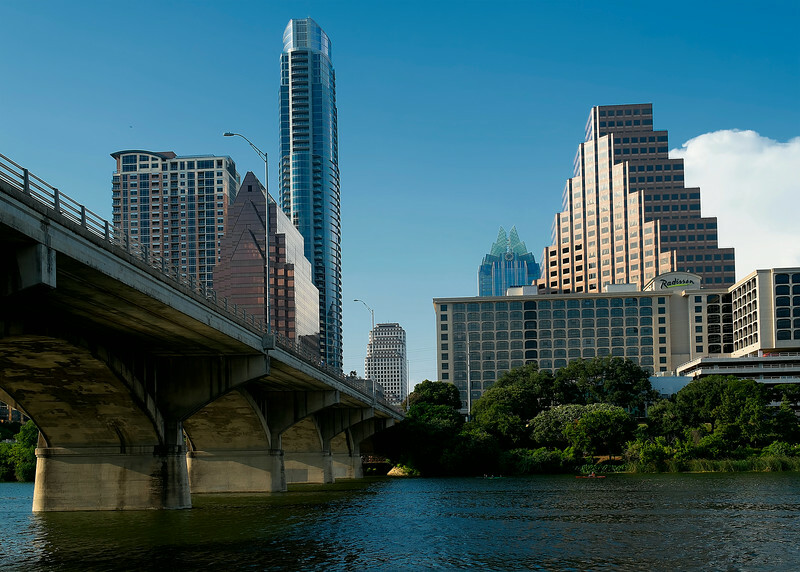 Austin skyline from Auditorium Shores, morning of the "polar vortex" in Austin with temperatures well below freezing by Ted Lee Eubanks. 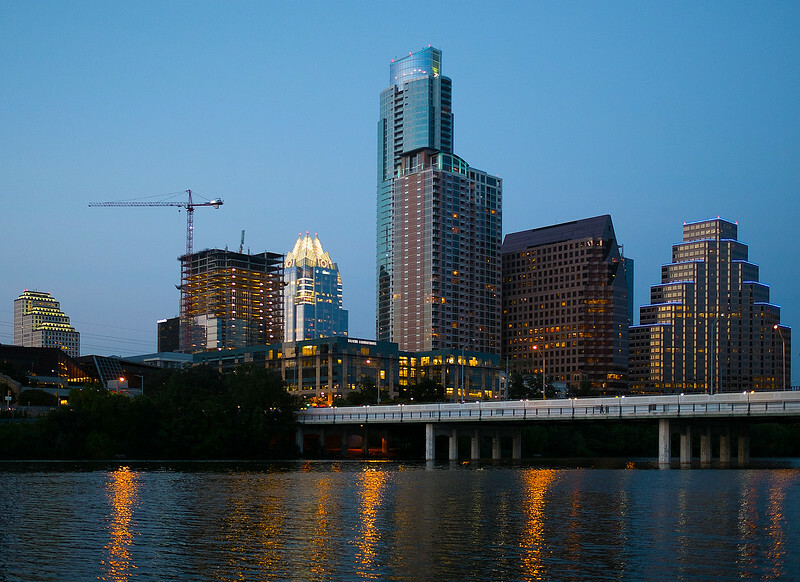 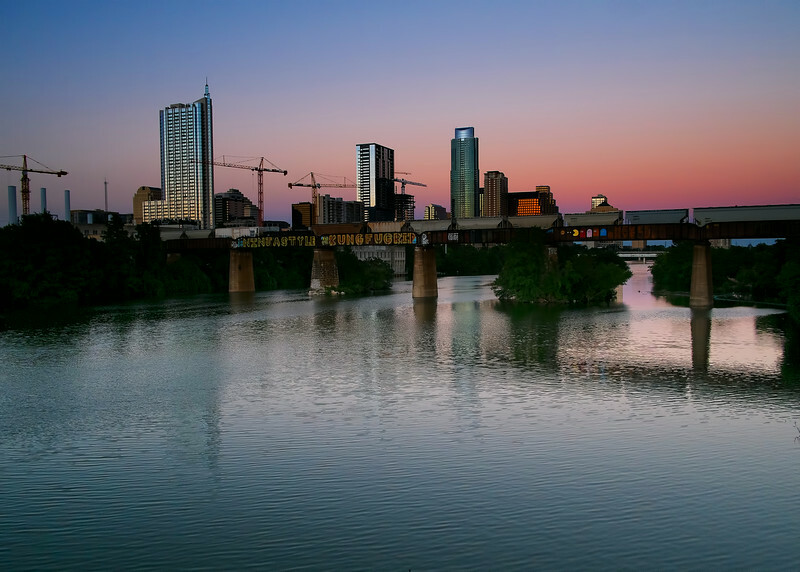 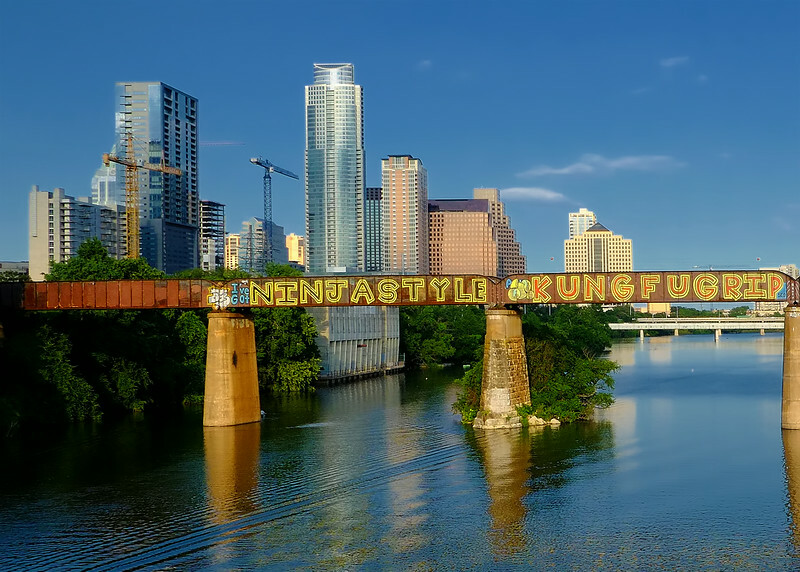 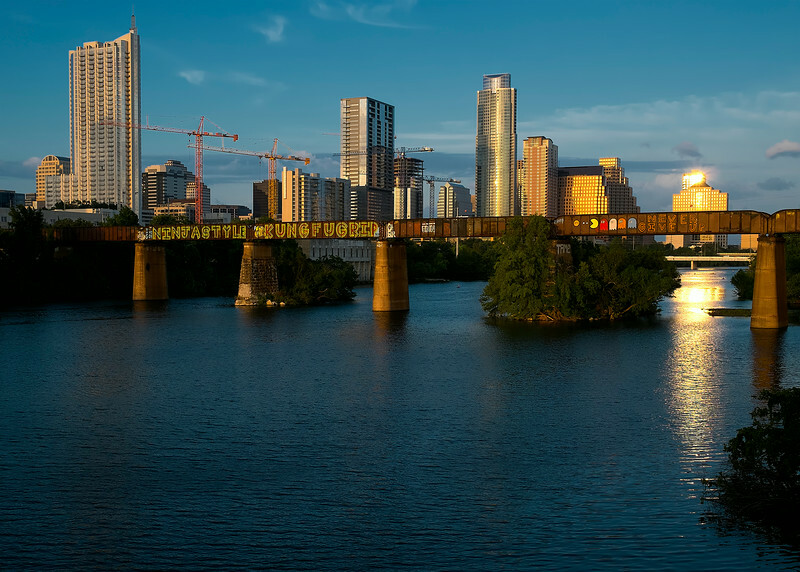 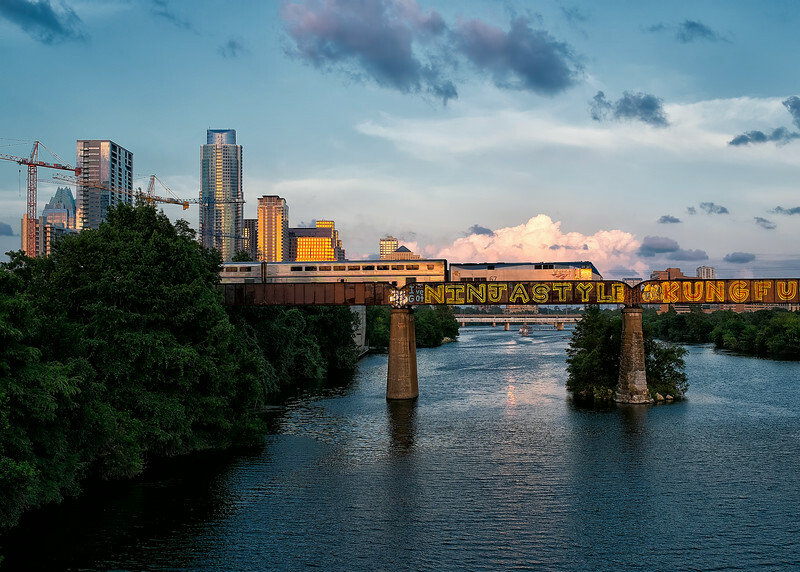 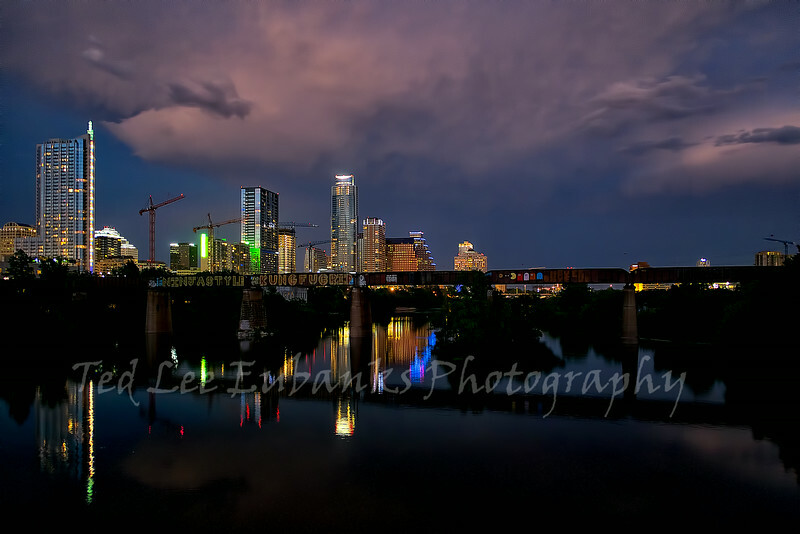 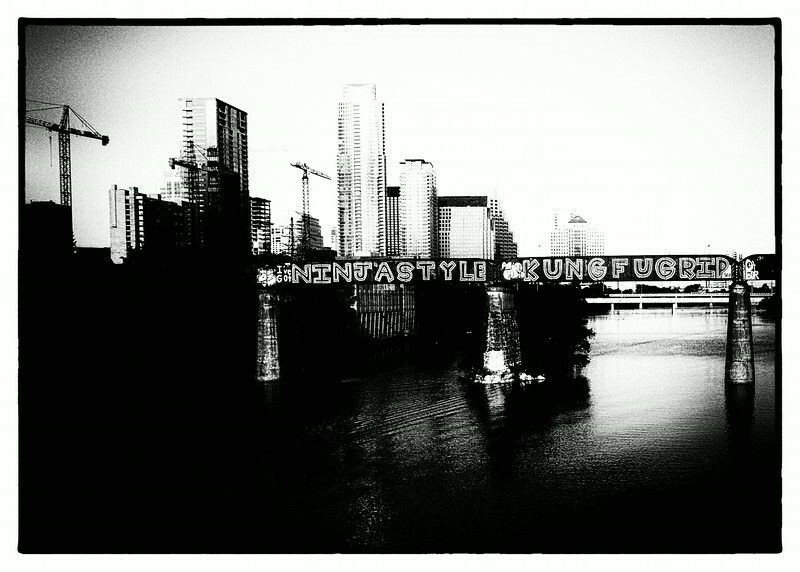 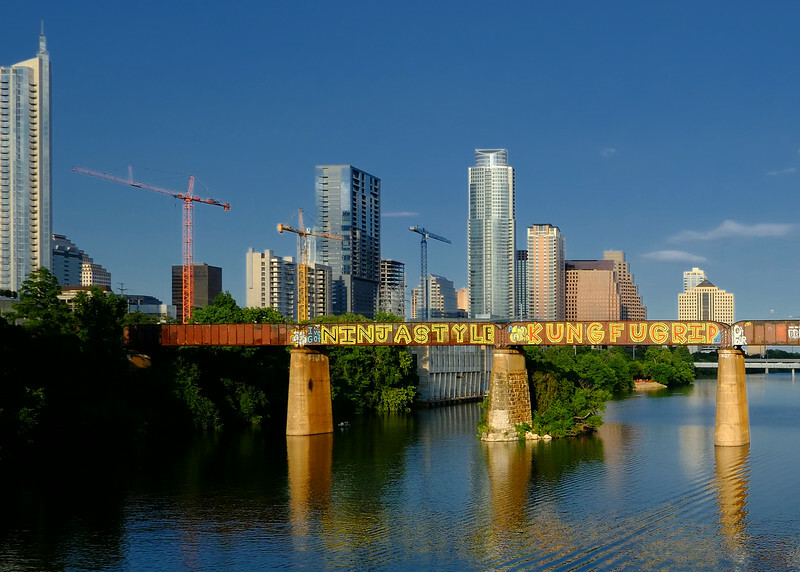 Austin late evening skyline from the Butler Hike and Bike Trail by Ted Lee Eubanks. 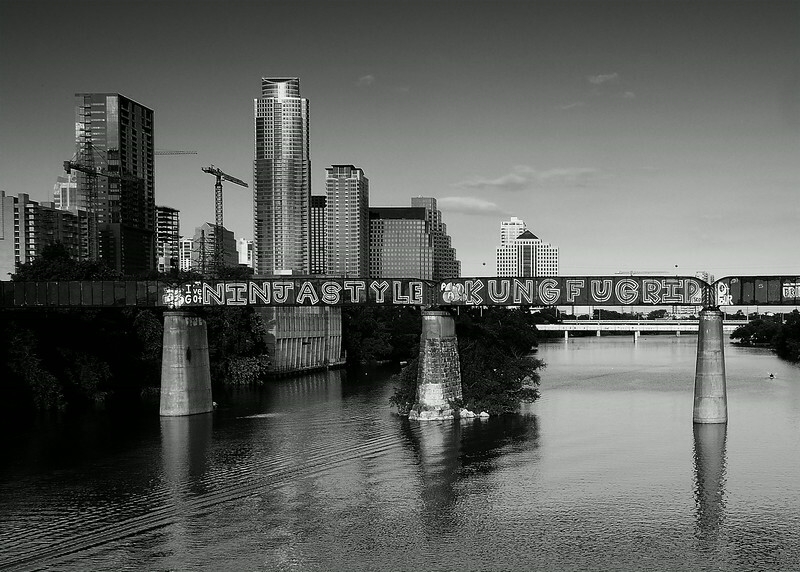 The bridge seen in the image is the 1st Street Bridge, constructed in 1951. 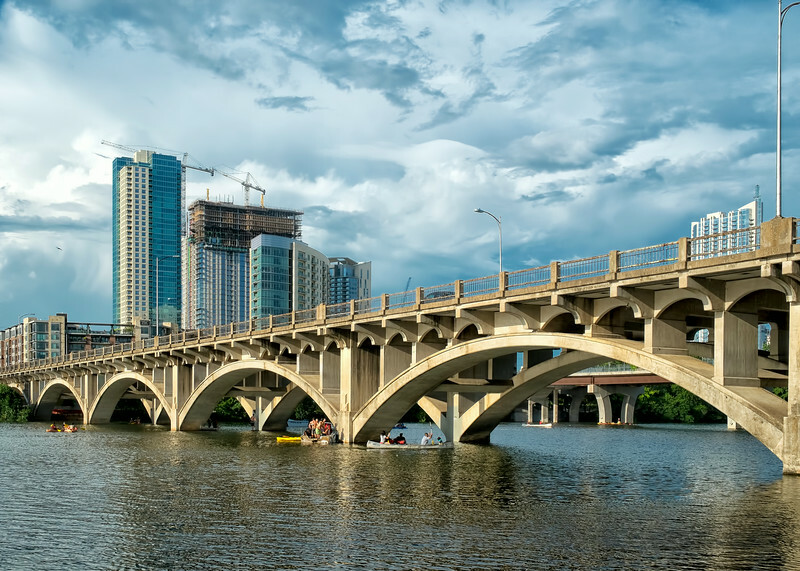 The Lamar Boulevard Bridge, completed in 1942, was the second permanent bridge to cross the Colorado River after the Congress Avenue Bridge. 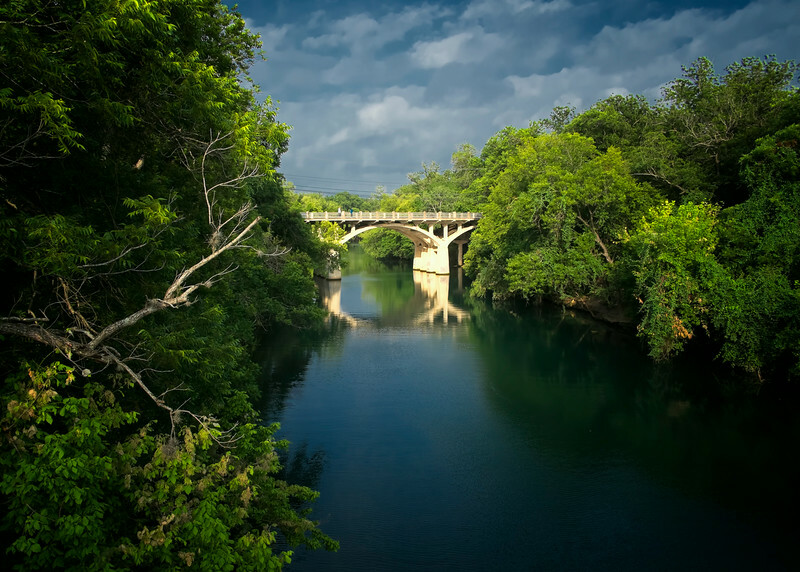 The bridge was added to the National Register of Historic Places on July 7, 1994. 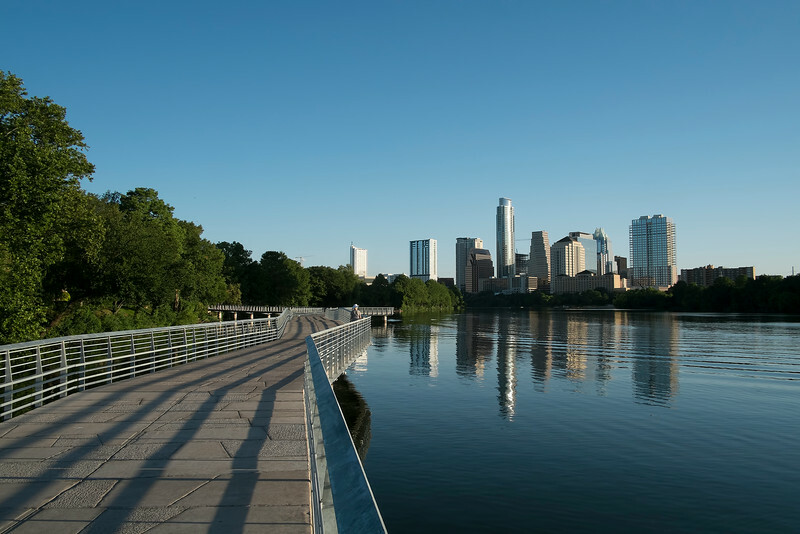 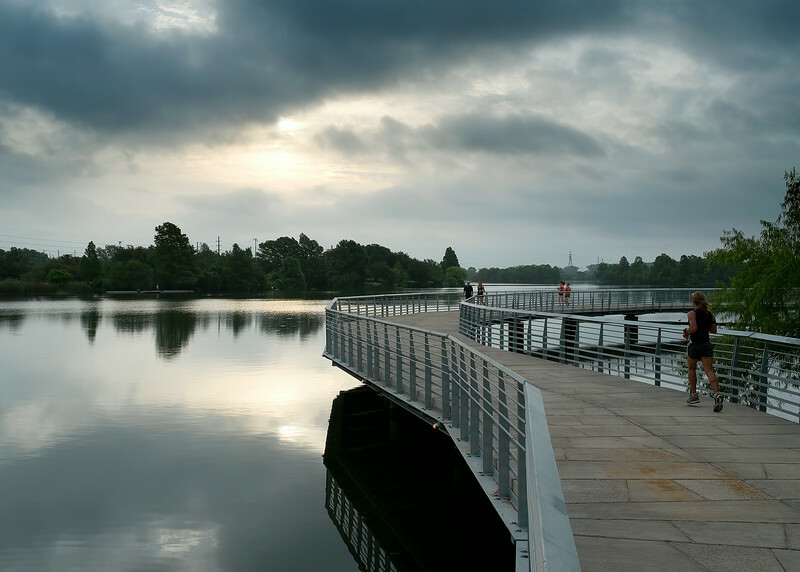 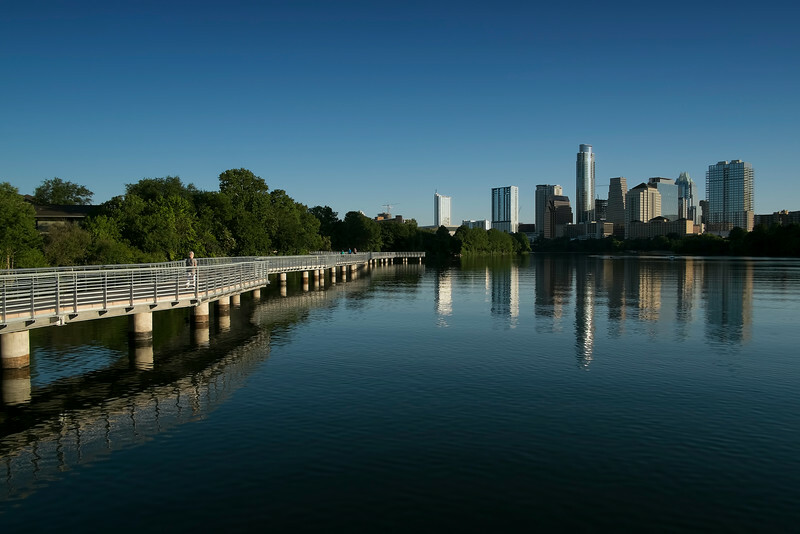 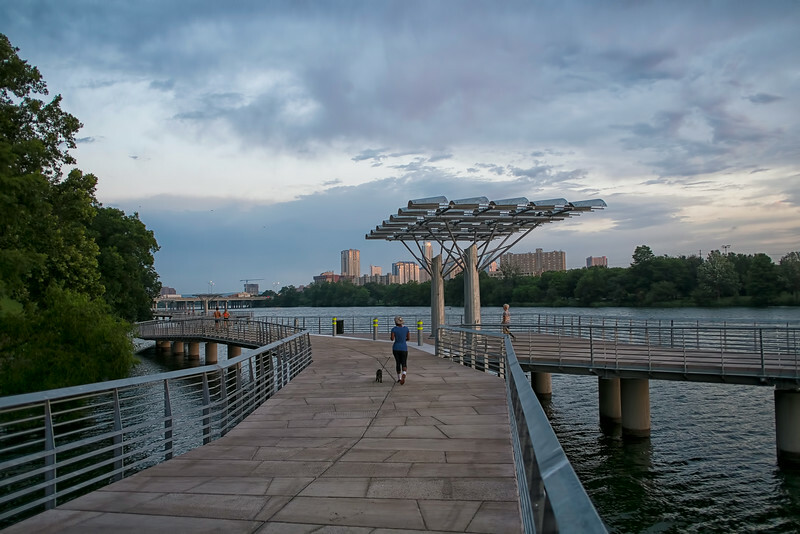 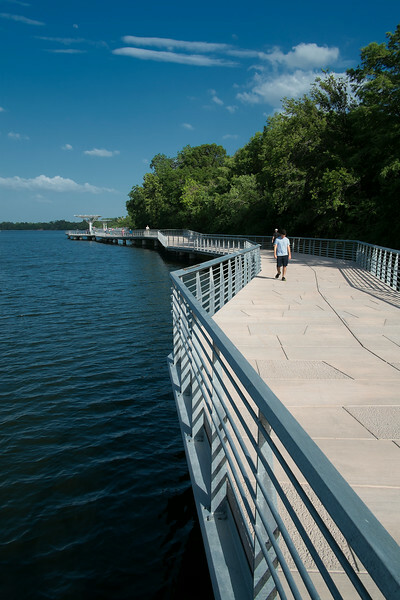 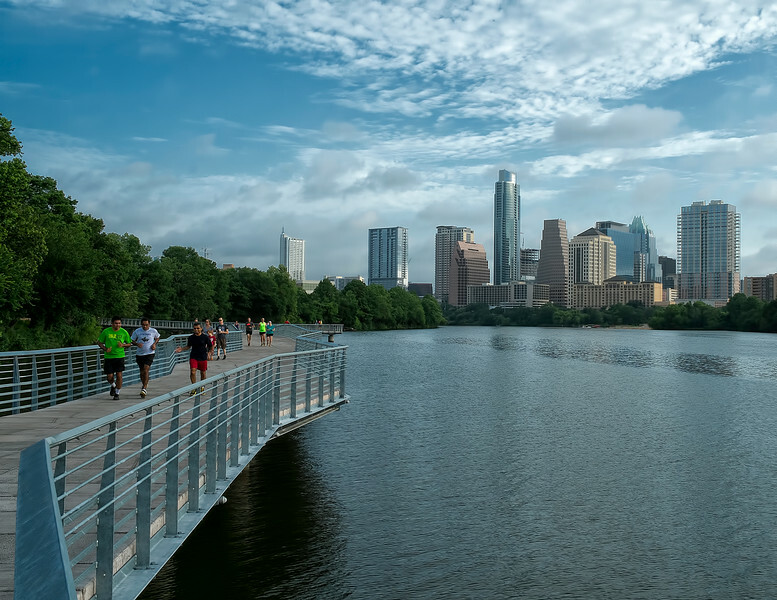 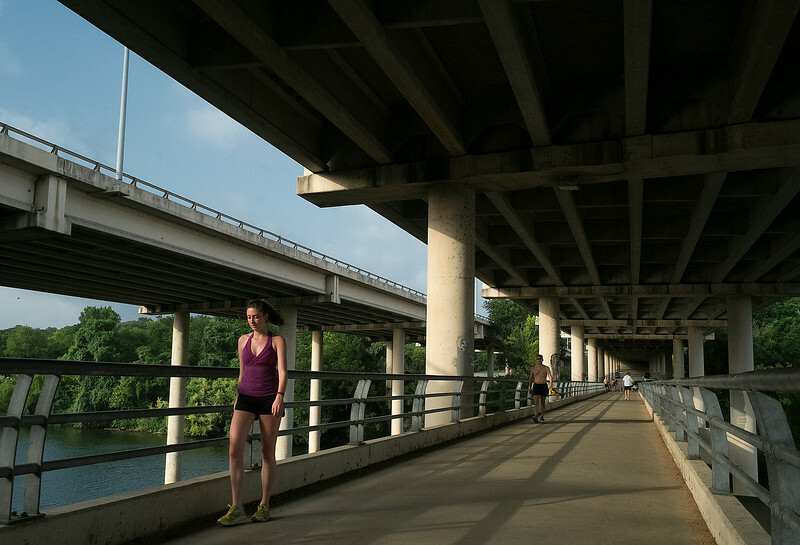 The Boardwalk Trail at Lady Bird Lake connects the Butler Hike and Bike Trail around Lady Bird Lake between the Austin American Statesman Building and Lakeshore Park. 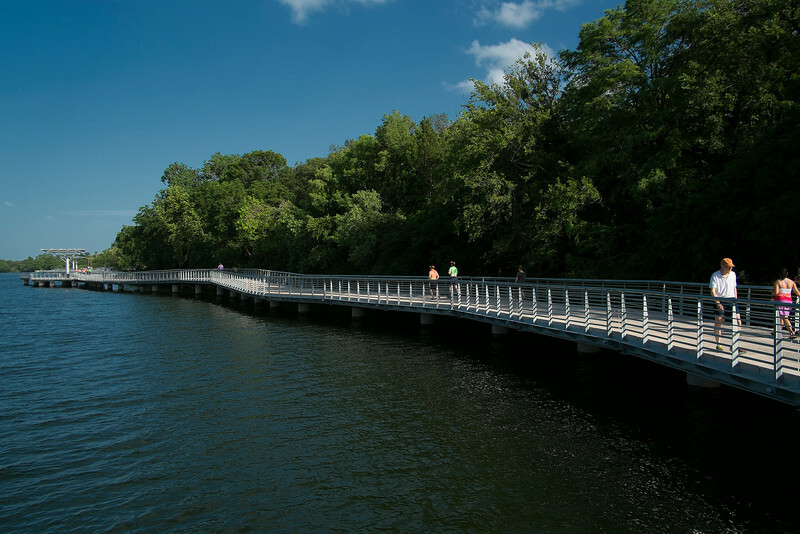 According to the Trail Foundation, "the Trail was formed in the 1970’s as part of a lakefront beautification effort. 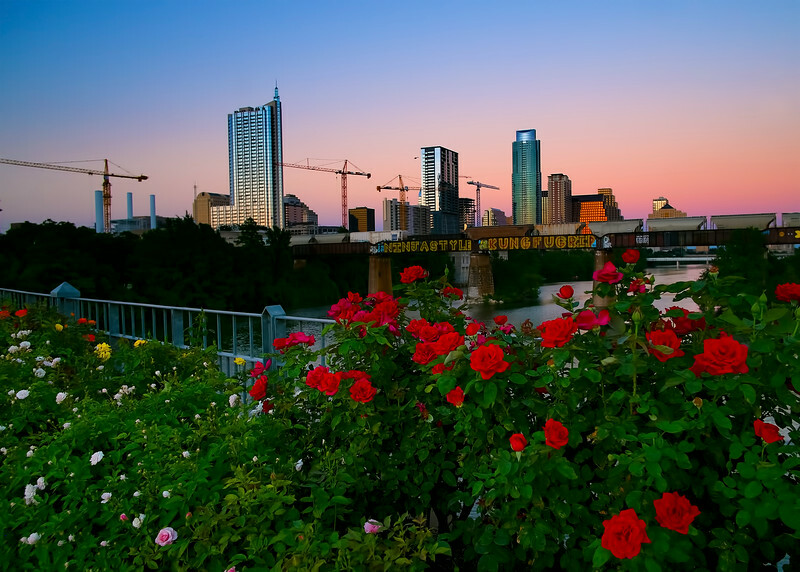 As the city grew in the 1980’s, it became a recreational resource. 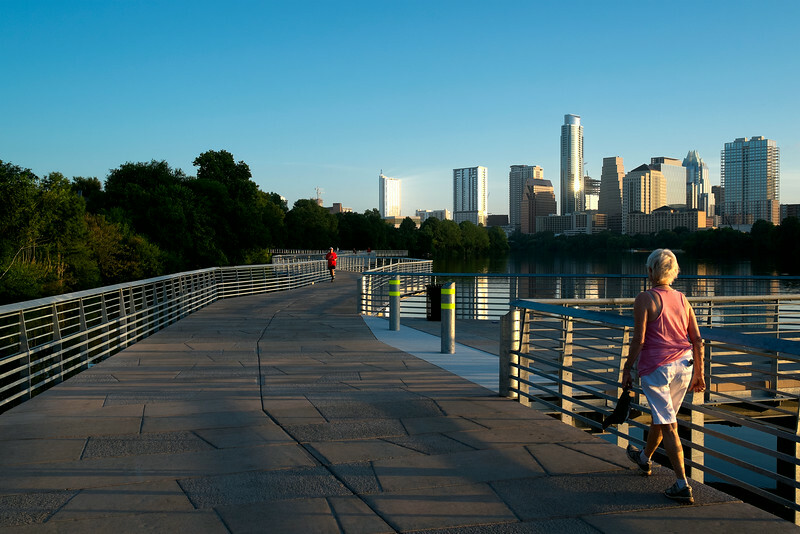 In 2011, the Trail is now serving our city in an additional way – an alternative transportation route for our growing urban core." 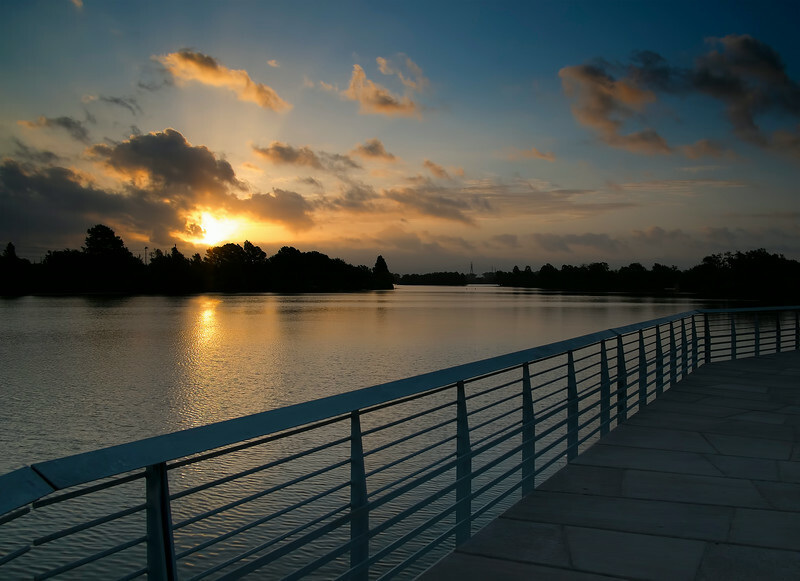 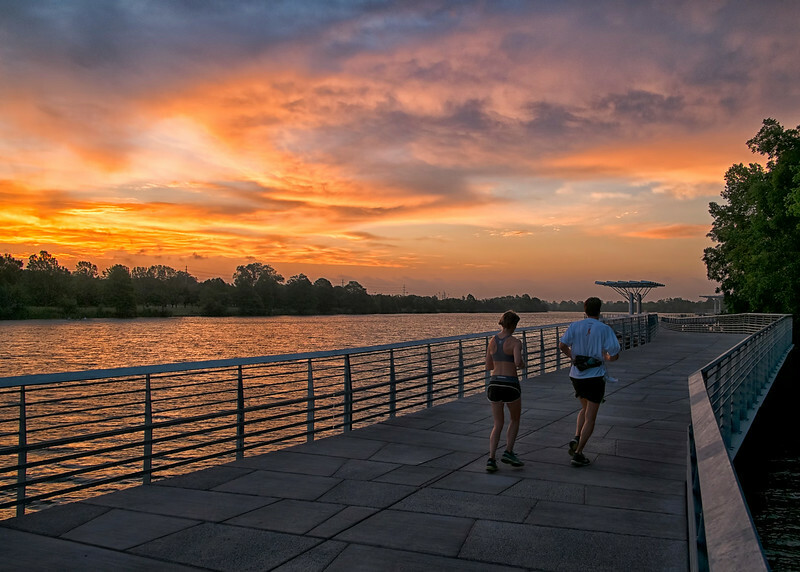 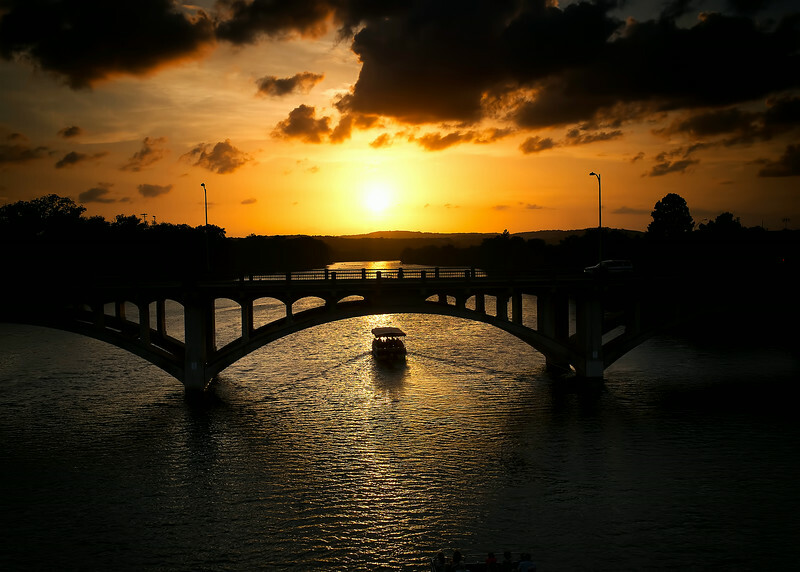 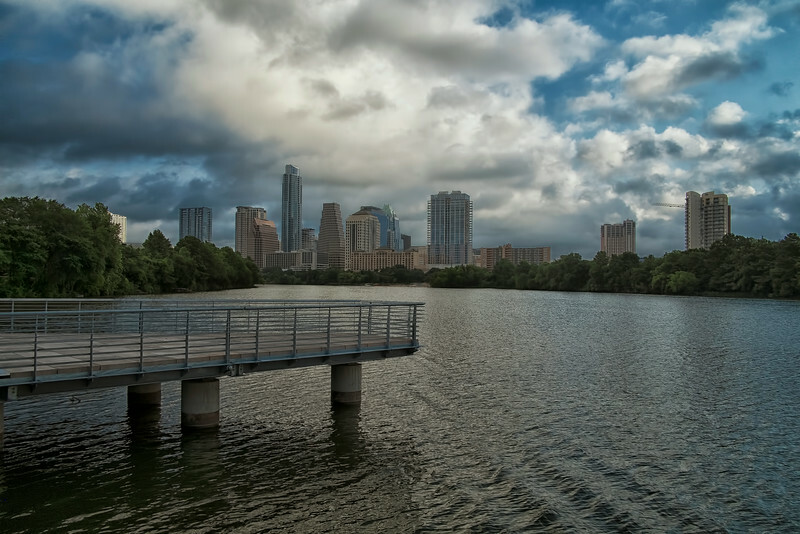 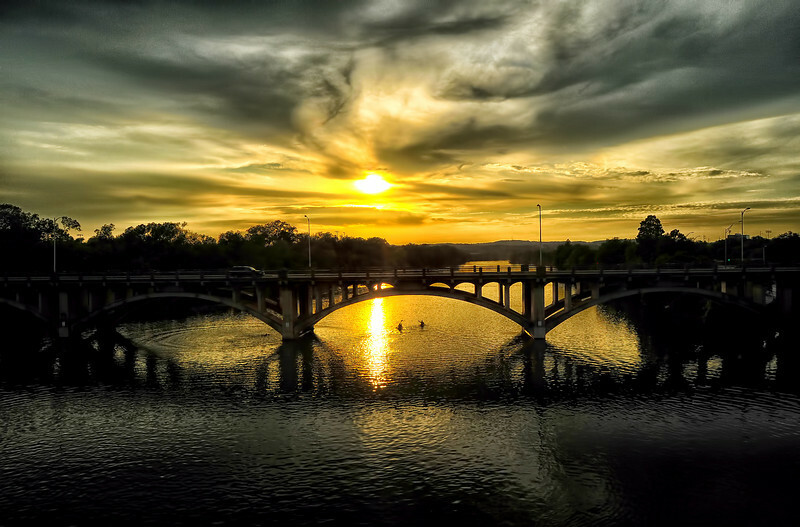 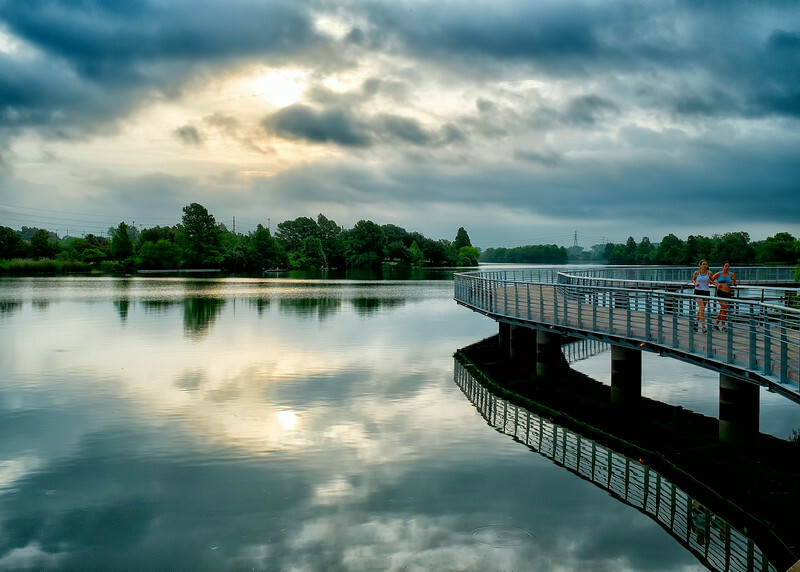 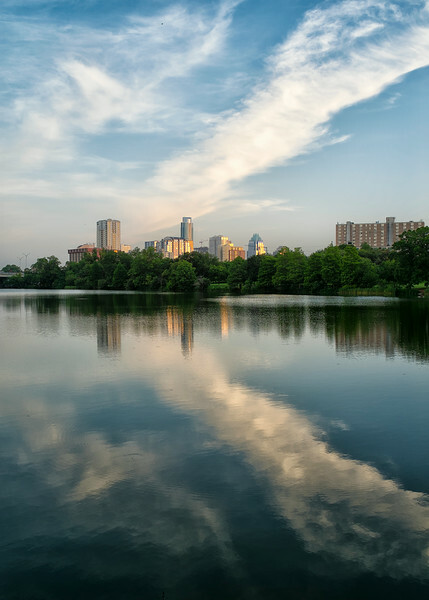 Dawn's Early Light from the Lady Bird Lake Boardwalk Trail by Ted Lee Eubanks.